Groome is one of the youngest players in the draft class and as one would expect he continues to improve each and every time he takes to the mound. 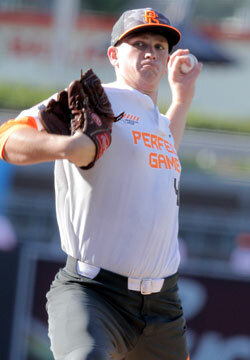 The 6-foot-6 southpaw was recently ranked as the top player in the 2016 rankings after a strong showing at the Perfect Game National Showcase. He has an extremely loose and easy arm action and clean delivery, so while it seems like he’s just playing catch he’s actually firing in mid-90s fastballs and complementing that with a sharp high-70s breaking ball and developing changeup.